I usually do not advertise businesses but I thought that one was so well put together that it deserved to be mentioned. 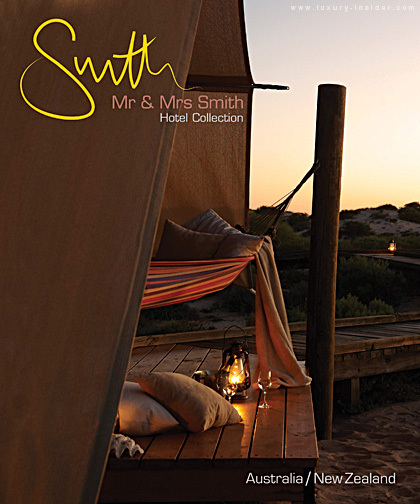 It is rare to see a well designed and appealing third-party travel website and I must say, Mr and Mrs. Smith Boutique and Luxury Hotels Specialists (http://www.mrandmrssmith.com) does make me want to book. Over and over. What a great name, a great logo and great visual identity! Well done. Superb. Up to the tiniest details. While usually most of the travel sites are putting all efforts into navigation and functionality but ignoring design and user experience, the site managed to find the right balance between all. 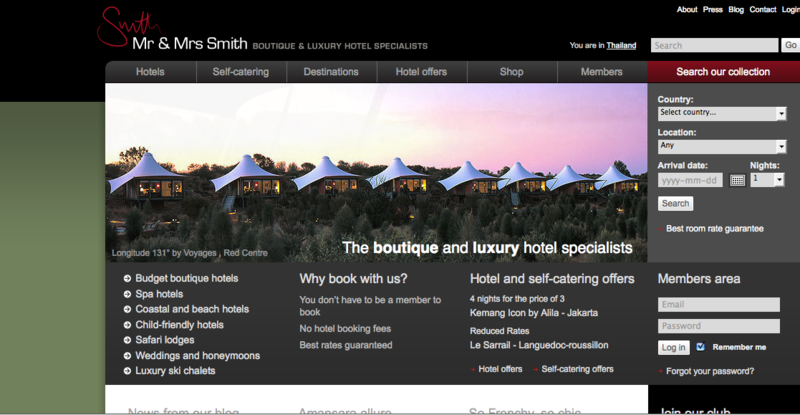 The site is all about designed and sophisticated hotels & resorts. The brand has been built and brought to life around these key principles. It is is true for everything they do. They are staying in brand all the way through. Also very important to note that Mr and Mrs Smith online successes have now been expanded offline. An excellent case of successful branding where the brand has been horizontally integrated with the release of a series of travel book collection. More than a travel website, it is now a lifestyle brand. A brand with credibility. I don’t know how much the principals have invested into their brand and content, but I know it was worth every penny! Ps: I have no direct or indirect involvement with this website or the Mr and Mrs Smith brand. Thanks for the lovely post about Mr & Mrs Smith, glad to know you enjoy the site, the books and the brand at large. We go hammer and tong to bring the best to the table, so again, thanks for the compliments! You’re welcome Erin. Keep up the good work! Great post, and totally agree – Mr & Mrs Smith is a fantastic website, with most importantly, a fantastic product that really sells itself. Hmmm…a lot of boutique hotel websites have really upped their game recently, notably i-escape.com which, in my opinion, tops Mr & Mrs Smith (who are too corporate for my taste) and all the others in the market for content, style and usibility. Tablet hotels also have a really nice site.